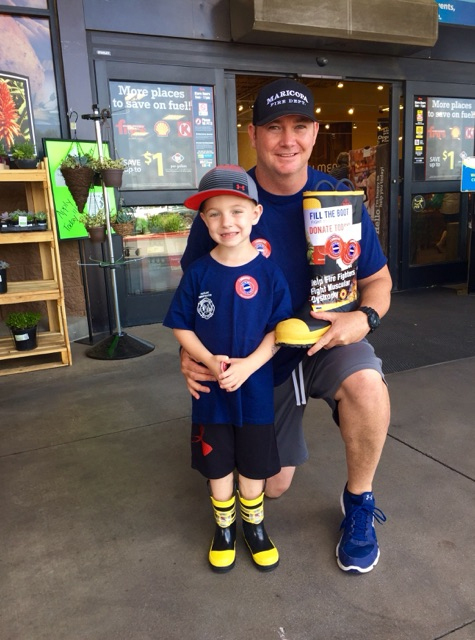 United Maricopa Firefighters Local 4561 has completed its donation campaign for “Fill the Boot,” a charity event for the Muscular Dystrophy Association. With support from Fry’s Food Store, which allowed Local 4561 to use its storefront to solict funding, and donations from the community, the firefighters raised the equivalent of $7,000 this year. 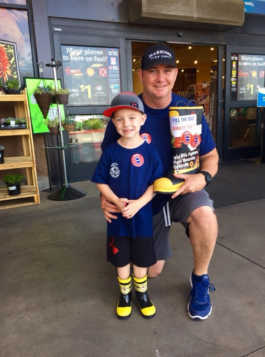 All across the United States and Canada, firefighters from all International Association of Firefighters locals eagerly collect money for those that are afflicted with muscular dystrophy. 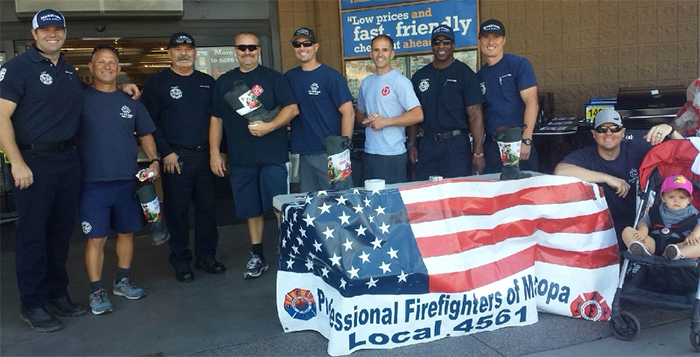 As the single largest contributor, the IAFF has been doing this for the past 62 years. 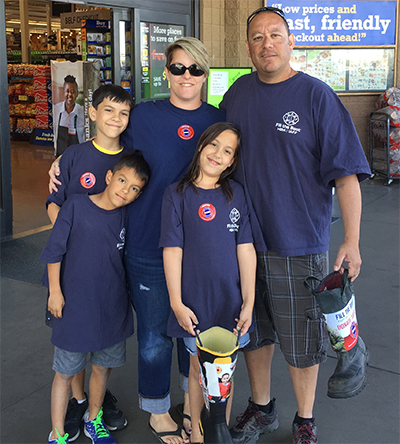 The Maricopa event was coordinated by John Campanaro.